Read my entire review of the new 40th Anniversary Edition of TCM, out this week from Dark Sky Films, at Slant Magazine. 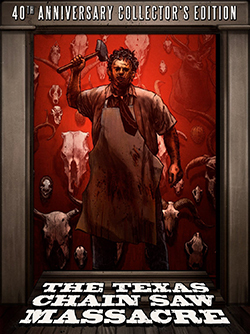 This entry was posted in film, movie reviews and tagged blu-ray, Dark Sky Films, Gunnar Hansen, Marilyn Burns, slant magazine, The Texas Chain Saw Massacre, tobe hooper. Bookmark the permalink.